I bet you are wondering where I am at with my fall decluttering and cleaning project. Well, here is the next installment of The Horrible Housewife! 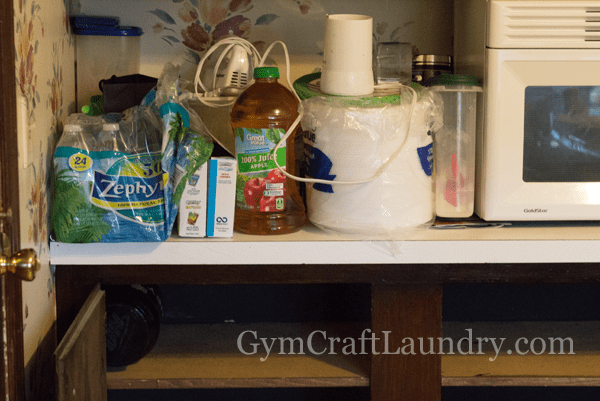 I’ve been stuck decluttering the kitchen for way too long now! I’m going to have to break up the kitchen into parts. 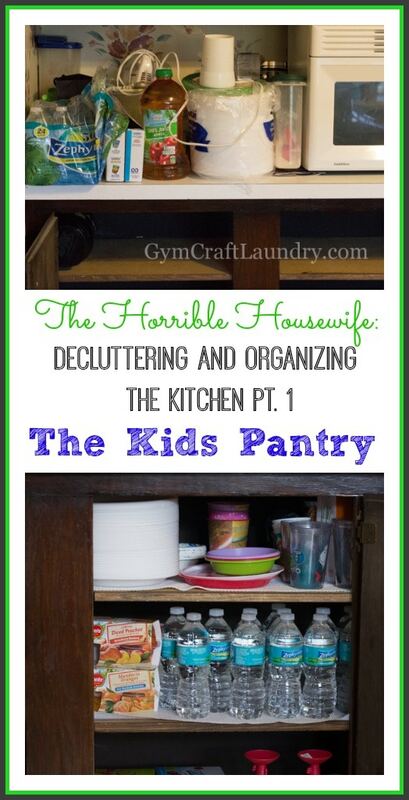 It didn’t make sense to just declutter in this room since every cupboard was dysfunctional. 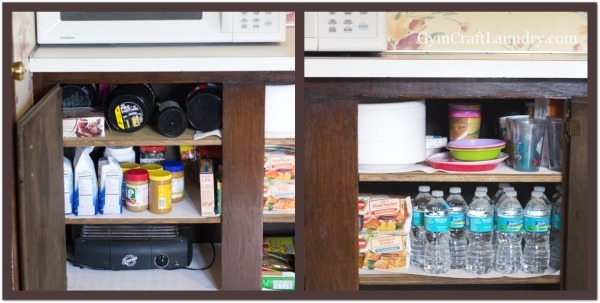 The biggest issue was that the pantry was actually being used to store Tupperware and random baking dishes which meant that all the food was shoved in cupboards. My ultimate goal is to remove the wallpaper so I took them down. Unfortunately, I then had to go through a hundred bottles of spices. More than a few expired about five years ago. I finally just moved all of the food into the pantry (after I primed and painted it). The pantry isn’t organized yet so I will show it to you when I am done. I filled up more bags for Goodwill and emptied it. The microwave was at the end of the extra counter and the space between the wall and the microwave collected all sorts of clutter. 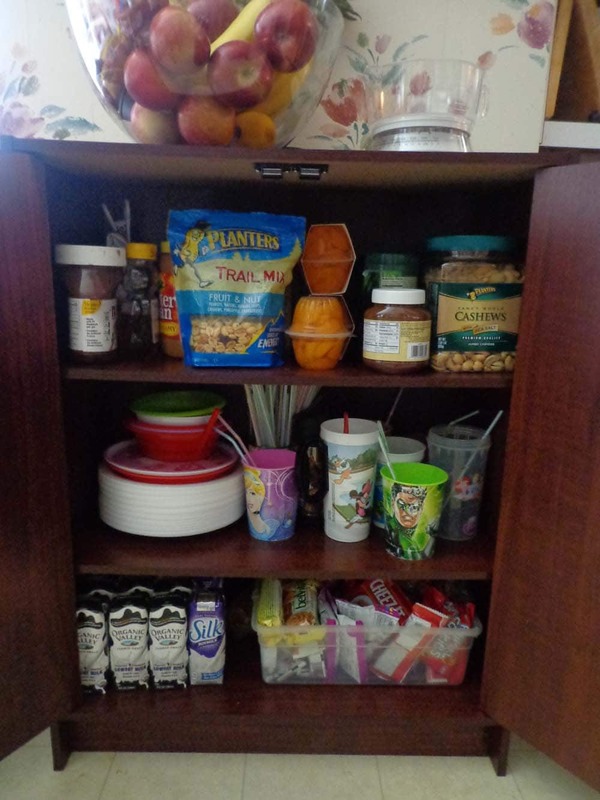 Last year, I made a “kids pantry” because keeping things in upper cabinets was not conducive to having the kids learn to get easy snacks for themselves. But, I realized that it was adding to the over all crowded feel to the kitchen. Our kitchen is very spacious in all actuality but feels so cramped. So I got rid of the little pantry. 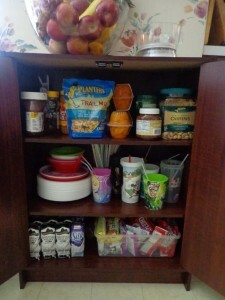 And decided to use the extra and now empty cupboard for easy to reach kid’s drinks, dishes, and snacks. I did keep the hotdog grill that I found under there and used the top left shelf for my protein powders and workout supplements. It does look much better with nothing on the counter. One area down in the kitchen about three more to go!